Soon after MediaTek has officially launched its MT6592 octa-core processor, info on the first benchmarks for the chipset has started to emerge, proving the high performance levels that it can offer. According to MediaTek, the CPU has managed to score no less than 32,606 points in AnTuTu, which is pretty impressive, that’s for sure. The chip had its cores clocked in at 2GHz, as GizChina reports. 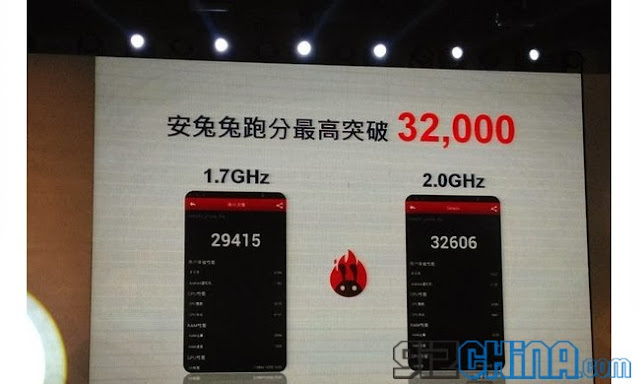 However, it appears that the MT6592 can offer increased performances even at lower speeds, as the 1.7GHz model is said to have reached almost 30,000 points in the same benchmark. MT6592 was made official with eight Cortex-A7 cores inside, and it is the first mobile chip in the world to be able to use all of them at the same time. Smartphones and other devices powered by this processor are expected to become available before the end of this year.